On &apos;The Daily Show,&apos; host Jon Stewart called out GOP Vice Presidential candidate Paul Ryan for attacking President Obama over cutting Medicare, allowing an auto plant to fail [when President Bush was still in office] and other misstatements that Ryan made (video below) during his speech. 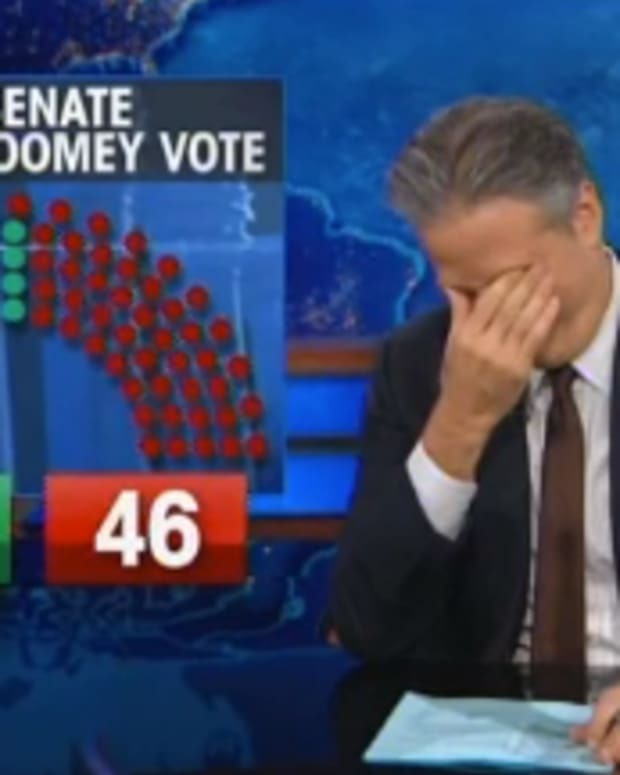 Stewart was then joined by correspondent John Oliver, who said that the Republican&apos;s &apos;We Can Change It&apos; theme was actually about changing "facts, reality, and the meaning of words in order to make a much larger point,” reports Mediaite.com. At one point, Oliver compared Republicans to himself making up lies to hit on a woman.